Nicki trained at Brunel University and graduated in 1992. She is a Musculoskeletal Physiotherapist with special interests in shoulder problems, cycling and lower limb related issues and Western Acupuncture. 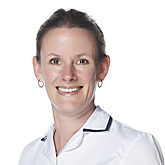 Nicki arrived in Guernsey in 1994 and developed her skills in Out-Patient Physiotherapy, progressing to head the Shoulder Team for Guernsey Physiotherapy group. She gained her AACP (acupuncture) qualification in 2009 and more recently, qualified as a Clinical BikeFit Pro in 2013.